When Liverpool are linked with huge money bids for attackers, or attacking wingers especially, we scoff, to be honest. We’ve already got Mo Salah and Sadio Mane as our inside forwards, with Coutinho, Roberto Firmino, Alex Oxlade-Chamberlain and Adam Lallana also capable of playing these roles. So we’d be very, very surprised if we spent £53.5m on a promising youngster to sit on the bench in between playing U23 matches! 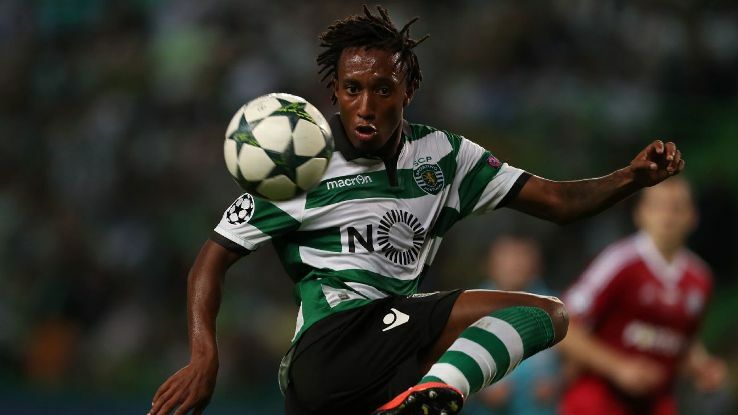 Portuguese outlet A Bola, translated by the Mirror, reckon Jurgen Klopp is eyeing up Gelson Martins, Sporting Lisbon’s 22-year-old flyer – who’s going to cost £53.5m. Martins is rapid and plays on the right wing, which is strange nowadays for a right-footer! This term, he’s notched four goals in the Portuguese top flight and one more in the Champions League. If (and that’s a very big if) we signed him, he could play in tandem with either Mo Salah or Sadio Mane, both of whom have 17 career Liverpool goals, interestingly! Alternatively, Klopp could move Salah central and get Martins to start from the right in what would be the fastest attack in the world by some distance. Sadio Mane has already assisted four of Mo Salah’s goals. But we don’t believe the rumour for a second. When Liverpool splashed out big money on Alex Oxlade-Chamberlain, Klopp was acquiring himself cover for these positions. He’s not going to do it again. For the millionth time, it’s defenders we need. Good ones. We desperately hope Liverpool act aggressively in January and do what’s required to sign an elite centre-back.